Scott's Web Log: Novo Nordisk's "Victoza" (liraglutide): Are Any Lessons from Aesop Applicable Here? Novo Nordisk's "Victoza" (liraglutide): Are Any Lessons from Aesop Applicable Here? As of late, we've seen a lot of behavior from the pharmaceutical industry which doesn't exactly portray the industry favorably, including suppressing data which depicts results in an unfavorable light, widespread conflicts-of-interest, poor consumer advertising and prices which vastly exceed their financial investments. One such example is (sadly) on display right now, and it makes the company look arrogant and overzealous. In fact, Pfizer acted in a very similar manner before Exubera went to market, and we all know how that story ended. Right now, Novo Nordisk A/S is so absolutely certain that its new glucagon-like peptide-1 (GLP-1) drug to treat type 2 diabetes will be approved. 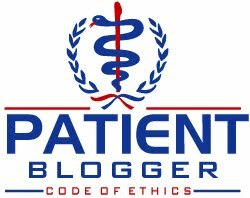 The drug, known by its generic name liraglutide, which is not yet approved by the U.S. Food and Drug Administration (FDA) or any regulatory bodies in Europe, yet pharma blogger Jim Edwards featured a post yesterday indicating that some logos being reviewed for the product have already been leaked. The leaked link was dead as of Thursday (December 11, 2008) evening, but wasn't yet purged from Google's cache file (see here for that). Apparently, The Nottingham, UK-based graphic design firm named Pixel Punch indicates that "The chosen logo will be used for a series of corporate events launching a drug named Liraglutide, a new treatment for type 2 diabetes. 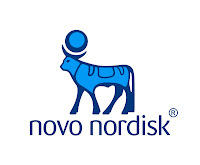 The various colours in the logos represent the different products produced by Novo Nordisk." Incidentally, liraglutide is a mouthful, and the company has already disclosed to investors that the product will carry the brand-name "Victoza", assuming of course, that it is approved. Victoza is basically a me-too version of Amylin Pharmaceuticals' and Eli Lilly & Co's. Byetta (exenatide). It works in a very similar manner, and has similar "benefits" (including several cases of pancreatitis revealed in the clinical trials -- although Novo did make a point at this year's ADA Scientific Session to inform everyone that the incidence was lower, albeit only marginally so), although the company has worked overtime trying to portray the drug as vastly superior to Byetta, even though these claims are pretty weak. The company is so confident (some of us would use the term arrogant), that CEO Lars Sørensen told Reuters during a visit to London he was confident the group's key new medicine liraglutide, or Victoza, would win U.S. and European approval in mid-2009. Interestingly, that timeframe is somewhat later than the company was predicting earlier this year; at which point, the company was telling investors that it would be EARLY 2009 prior to unexpected approval delays with the FDA. That doesn't mean the FDA is going to decline the drug, or they would have received a letter that it was "unapprovable", but clearly the company is building high expectations among investors for the drug. In fact, at its Capital Markets Day (basically a dog-and-pony show for investors) a few months ago, there was an extensive presentation on the drug. Among the elements the company is already discussing is the use of liraglutide as a "pre-diabetes" drug (which Diabetic Investor David Kliff argues isn't even a real disease; it's akin to being "sort of" pregnant!) and as a potential weight-loss drug -- all before it has even received approval! Patty the Milkmaid was going to market carrying her milk in a pail on top of her head. As she went along she began fantasizing about what she'd do with the money she'd get for the milk. "I'll buy some fowls from Farmer Brown," she said, "and they'll lay eggs each morning, which I'll sell to the parson's wife. With the money that I get from the sale of these eggs, I'll buy myself a new dress; and when I go to dance, won't all the young men come up and speak to me! Polly Shaw will be that jealous; but I don't care. I'll just look at her and toss my head like this. As she spoke she tossed her head back, the Pail fell off it, and all the milk was spilled. So she had to go home and tell her mother what had occurred. "Don't count your chickens before they are hatched!" Novo Nordisk and its investors would be wise to follow this Aesop tale; until Victoza is approved, don't assume that the earnings from this drug are "in the bag". Remember, there are only a few weeks (its down to just days!) left before the George W. Bush Administration is out, and current Bush family friend Andy von Eschenbach will be gone, along with it, the rubber-stamp approval policies of recent years. Unless Victoza gets an approval during this short window of time, recall that I noted recently that Bart Stupak, a Michigan Democrat who holds a key post on the House committee that oversees the FDA (and a frequent critic of that agency) has apparently written a letter to President-Elect Barack Obama asking him to avoid naming any current officials of FDA to lead the agency. In this environment, we should remember Victoza's approval is not assured! Prediabetes is VERY real. If you look at the incidence of classic diabetes complications, neuropathy, retinopathy, and kidney disease, they begin to become significant in the range defined as "prediabetic." This is why fully one half of people newly diagnosed with Type 2 already have neuropathy and quite a few have early retinopathy. And that doesn't even get into the many studies that show a very strong straight line rise of heart attack and stroke risk associated with prediabetic A1c and even more strongly prediabetic post-meal blood sugar levels. Remember that prediabetes is officially diagnosed as a glucose tolerance test result 2 hours after a meal that lies between 140 and 199 mg/dl. Since glucose tolerance tests often produce reactive lows in people with post-meal blood sugars that high and higher, it is likely a lot of people with prediabetic GTT results are fully diabetic. Beyond that, the fasting blood sugar level defining prediabetes is 100-124 mg/dl. The research suggests that any fasting blood sugar over 110 is very likely to turn diabetic within 3 years. FBG deterioration is NOT linear but is asymptotic. The pattern of onset of Type 2 HERE. Byetta and this new drug would be more use to people who are in the very early stages of Type 2 diabetes. And when they work, these GLP-1 analogs are effective drugs and FAR FAR SAFER THAN JANUVIA whose link to cancer via suppression of the DPP-4 tumor suppressor gene is a timebomb waiting to go off. The issue is that research suggests they only work in 1/3 of those who take them, and doctors have not been educated in how to identify these people and how important it is to stop treatment in people who do not respond. Jenny, whether pre-diabetes is real is not something I'm taking a position on either way, rather, the issue of pitching an unapproved drug for a condition is a bit like putting the horse before the cart. I'd like to think that we are taking a more cautious approach to approvals here; Victoza may get a go-ahead, but give it the time needed to make an informed evaluation. The FDA is not a shareholder in the drug industry, but is a shareholder in making sure the evidence is evaluated thoroughly. I was going through some old references I had saved off and found something much more interesting about Liraglutide. It does NOT cause weight loss. Note the wording of the finding. "without weight gain" translates into "without weight loss". I see no benefits that make it superior to Byetta, a higher risk of pancreatitis (since pancreatitis didn't show up in clinical trials for Byetta and only occurred with tens of thousands of prescription, and no weight loss. In short, even if approved, it is DOA. If you look at all LEAD studies, there are 6 with Victoza. All 6 showed a reduction in body weight from 2-9 pounds in a 6 month period compared to other drugs. ALL 6 showed this. The LEAD study results are irrelevant to whether a company should be deciding upon uses for a drug which have yet to be approved: the company DOES NOT CURRENTLY HAVE APPROVAL for Victoza from the FDA or EMEA -- period. I found some of your comments very ignorant. A drug approval is simply a licensing agreement that verifies what a company already claims to know. So, if the company claims that a drug has, for example, weight loss abilities, they already have some form of research evidence indicating this to be true. It doesn't mean that research may be available for public view as of yet. The company is not even selling the drug yet as it doesn't have the FDA licensing for it - so what is your apparent shock about the claims of the benefits? You sound just too eager to scandalize. Its different to pose facts, than to serve as a titter tatterer to scandalize something. With all due respect, I believe your comments are more ignorant than my review of the facts in this particular case. It is no secret that ghost-written submissions to medical and scientific journals and selective disclosure of only those facts which present the "facts" in the most favorable light to reviewers is commonplace. To make a claim that "a drug approval is simply a licensing agreement that verifies what a company already claims to know" is quite laughable. And what about post-marketing analysis? For most of the last 25 years, there has been little, if any of this in the United States; this same philosophy actually yielded such drugs that were known at the time of approval to be "safe" include Vioxx and Avandia among others. The fact is that Novo Nordisk is behaving as if it already has an approval in hand, which it does not (as of July 9, 2009). Let me add that just because the drug has recently gained an approval in parts of Europe is not even guarantee it will gain such an approval in the U.S., Canada, Japan (or, for that matter, countries in Europe outside the EMEA's supervisory authority, including Sweden, Norway and Switzerland, among others). I am not "too eager to scandalize", but in fact, present a more balanced review of facts which, to date, have been overwhelmingly glowing about this particular drug.